How you ever wondered how you are supposed to wear a floaty? 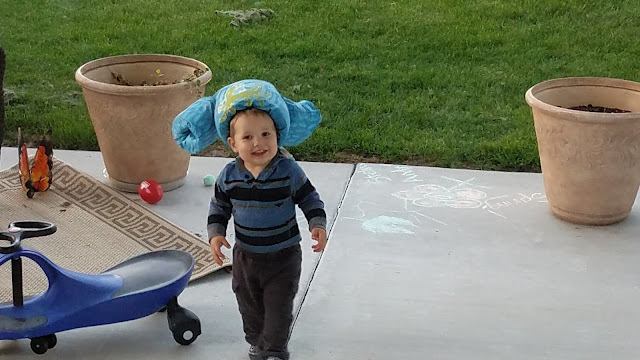 Here is one way to do it... as a hat! I guess there is always more than one way to do things! What I find amusing is that Andrew does not like to wear things on his head, but somehow he is not at all bothered by the large floaty.